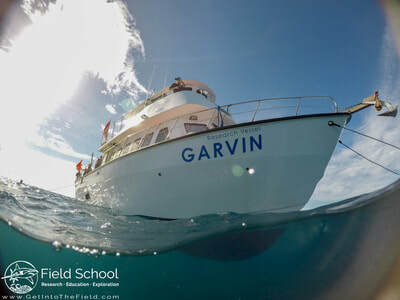 Field School is dedicated to providing students of all ages with educational experiences that allow them to connect with the natural world and embrace scientific inquiry. Our goal is to teach people that science isn't just for "scientists"--and that everyone can get involved in learning about our amazing planet. We have developed a series of field courses that combine environmental education with hands-on experience collecting data for ongoing scientific research projects. Students and citizen scientists on our expeditions interact directly with the local flora and fauna, as well as with research scientists working to understand and protect our environmental heritage. Our aim is for participants to come away with knowledge about tropical ecosystems, a commitment to their preservation, and an appreciation for the scientific process that helps us better understand and protect our world. 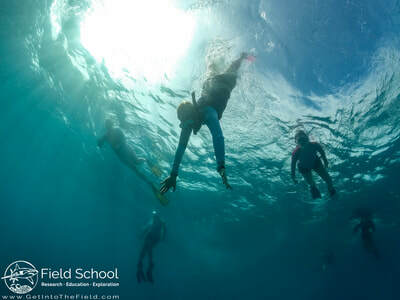 Our expeditions range from highly specialized training courses (such as Elasmobranch Field Handling) to those intended for students looking to acquire a broad base of knowledge about tropical ecosystems and ecology. Our teaching staff are all practicing environmental scientists with graduate training in the topics covered in our courses. 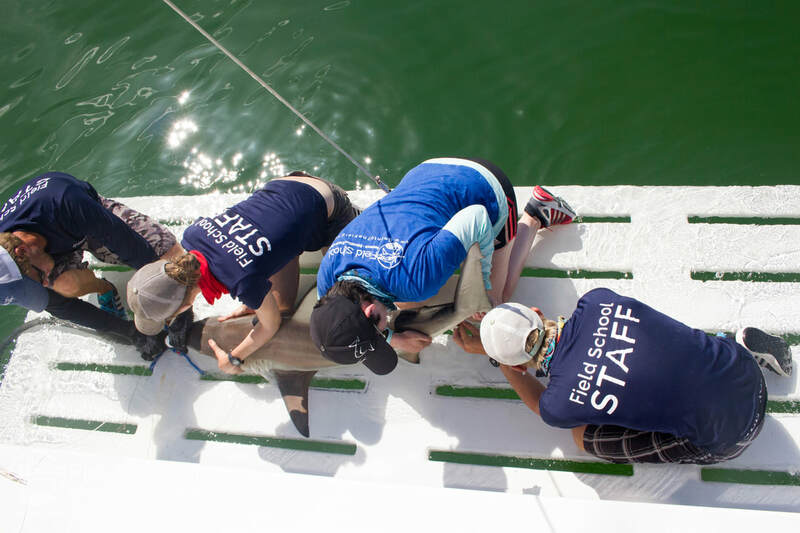 Our organization also partners with local conservation and research organizations to provide the best hands-on educational experiences possible. As part of our commitment to engage under-served populations with science and provide students with educational opportunities, Field School has a non-profit arm, Blue Backyard. Blue Backyard works to engage underrepresented communities in science and science education, to promote public engagement with scientific research through community events, and to provide subsidized field opportunities to students who are otherwise unable to afford them.